Mr. Carlson says to be a better listener we must be content to listen to the ENTIRE thought of the person instead of waiting for our chance to respond. Instead of communication being a race it takes pressure off of you if you just listen quietly. It will enhance all of your relationships. I need to constantly remind myself of this….all….the….time! I fail to listen to many during my day and even listen less at the end of my day when I’m tired and impatient. I consider myself a do-er, which in turn makes me also impatient. So a strength and a weakness, but that is ok. I’m cool with it, I wouldn’t change it. I just need to be more aware of my impatientness and learn to wait for my turn and listen to what is being said. Sometimes, or more often than I’d like to admit, I wait for my turn to speak, not respond to what was just said to me. SLOW DOWN, is what my head should say. Hopefully as I pay more attention to this, I’ll be able to do just that. I’m going to post today about a quick read I had today with the book “Don’t Sweat the Small Stuff”, by Richard Carlson. Simply stated it says Seek First to Understand. We try so hard to be understood that miscommunication runs rampid. It doesn’t need to if we try to first understand the other person, being understood will come naturally and will flow. I think all of us have issues with communication and I’ve realized recently that I try very hard to be understood first without listening because I NEED to be understood and listened to. It gives me value or makes me feel valued if I can prove my point and make the other person listen to me. This is not healthy however, I do realize that. I will try in the future to seek first to understand. Its crazy how quickly your body can gain weight but it seems to loose weight 3 times slower. Went to the doc today and have high blood pressure even though I take meds, so no more caffeine for me. 🙁 I’ve given up soda but coffee is going to be harder to give up especially going into the fall and winter. Well I guess there’s always decaf, blah. I am going to have some dark chocolate. I don’t each sweets much but when I do it’s dark Dove Chocolate and Brownies!! Oh I forgot my other weakness – OREOS! Ran 2.5 tonight in about 30 mins. Not too bad I guess, but need to be way better. I need to sign up for a run to keep me really motivated. What is this new fad? Well it is a great company (so far) that I decided to join and sell for. It seems like it’s a great time to get on with them b/c it’s the spring/summer. I’m sure fall/winter won’t be as active, but I’m sure I’ll keep them busy for orders for myself. 🙂 They have so many different designs and I can get them discounted for at least 30%, more if I’m selling more each month. I can’t wait! I’ve called the director today and I hope he will get back to me ASAP. The select team (RDU) is not cheap! Although you do get really awesome gear when you play; a nice jacket, pants, I think, jersey to keep, other stuff with RDU logo on it! Plus you get to travel around to different areas to play in tournaments! Which is like a mini vacation. 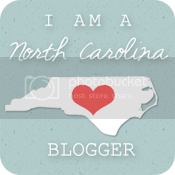 It’s been a while since I’ve posted and I was reminded I have a blog recently due to the renewal fees. 🙂 So I guess I should post something. Not too much is going on, it’s been a quiet winter, other than the strange weather. We are on the brink of another winter storm and this one could get icy. It should start tomorrow, but everyone is on edge including the schools as to when and where closings will be over the next few days. Lacrosse starts in a few weeks for D & H. They are both very excited and they’ve both tried out for the select teams. D did not make it through try outs for select. 🙁 He’s very sad about that, but he’s not always the best and won’t always win. I hope this is a good life lesson and it’s ok. He’s still an awesome player and he’s great at the sports he plays. We still love him if he doesn’t make the select team. E & R are looking at houses and have closed on a house in Rolesville to be built and finished in May/June of this year. They are currently trying to sell their own house and making renovations/repairs, improvements on the house. I’m sure it’s so exciting to be moving into a new house. It’d be awesome if I could do the same and didn’t have this old house on my credit. I hate that I ever did that and now it’s my headache to deal with because C’s out of the state. Lets see what this week brings…………..
It’s funny the things you find at the thrift store. I myself am a person who frequents thrift stores regularly. I like going through the treasures and seeing what you can find. Or what you can use in a different way. You also feel good because the money you spend there goes to help others, not for the actual item because all items are donated to the Goodwill. Recently I found a book that I’ve seen several times in bookstores everywhere and I never feel that the price tag is justified. However, when I found it at the local thrift, I had to pick it up. I figured to start I’d read the number item of the day of the month it is currently. Just to have more positive in my life, I thought this is a good way to start. This little book touched me today. I read the 20th item, yes I’m a little behind, but it instructs you to write a letter weekly to someone. It doesn’t have to be someone you know personally, but it certainly can. He encourages the reader to make a list of people you’d like to write to and then make it a point to do it each week. Even if you don’t send it, just the act of stopping and thinking about that person in a positive way helps you be in a better place. So this lead me to the idea of blogging about items from the book when they “touch” me. I haven’t made my list of people yet, but I will soon. I’m excited about this opportunity to brighten other’s lives. I’m so freaking excited. My son got his first TD of the season and it was beautiful. He was playing left wide receiver and the ball was thrown to him laterally and he ran at least 40 yards for a touchdown! My heart is about to bust right open! They also won the game! The past two were losses the first 20-0 and the second by 1 point. So as time goes on we are getting better!! It’s good to see progress. I think the coaches are also feeling things out more and what works and what doesn’t. Here’s to another win next week!! Here is Dylan as a Jr. Pee Wee Black Apex Cougar for Fall 2013. He’s played running back, wide receiver, safety, tight end, corner and others that I don’t even know the name of. I’m so proud that he loves sports as much as I did when I was a kid. I love them now as well. When we first started football 4 years ago in 2009 when Dylan was 7 years old, I wasn’t sure how I felt about him playing this sport. But I was really surprised about how he took to it. He’s one of the smallest guys on the team (weight and height), but he hits harder than the big kids. I hear other say all the time about how they can’t believe how hard he hits and the size guys he hits. I hope this year he continues to shine and move forward in his skill development. He’s really turned into a leader this year and it warms my heart. Even though last week the game against Cary Green was a loss at 20-0, I feel good about this Saturday’s game in North Raleigh. lets go Cougars! I couldn’t be more happy over the upcoming season with my son’s football league! He’s now on Junior Pee Wee age group which is heavy 8 year olds – light 11 year olds. Right now he weighs 64 lbs and the kids can weigh up to 105. Even though Dylan is light he can run as fast as a bullet. He can spin around and zig zag like nobody’s business. This past weekend at the Jamboree, he scored 2 times and caught a pass in the air. My heart almost burst out of my chest I was so proud! This Saturday is his first season game and I will be out-of-town, but I’ve asked my hubby to take pics and video of the game for me, so I can see all his great plays! I never thought I’d be a football mom, but after 4 seasons, I LOVE it just as much as he does.